Print ad buy in B.C. History Magazine. Online banner and sidebar ads were also purchased on smaller community news sites across B.C. 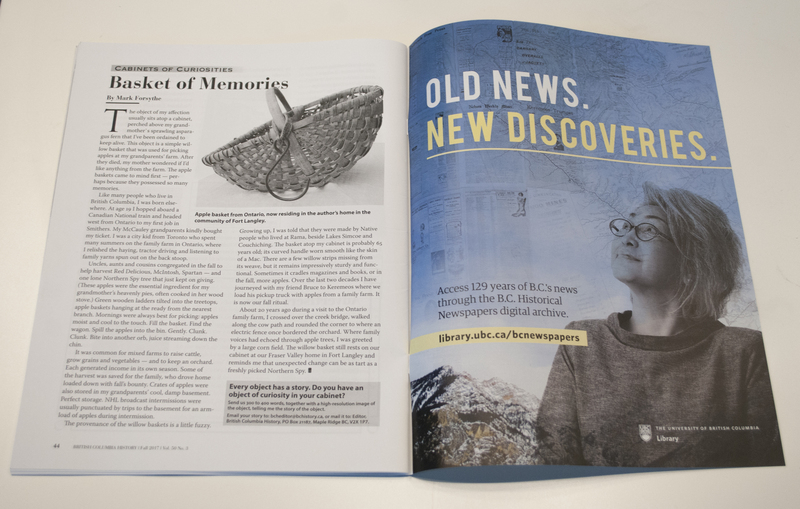 “In September 2017, UBC Library launched a four-week (September 4th-30th) campaign to promote our BC Historical Newspaper digital archive to raise the profile of the collection and to encourage researchers, historians and communities beyond the bounds of the UBC campus to utilize the resource in their work. 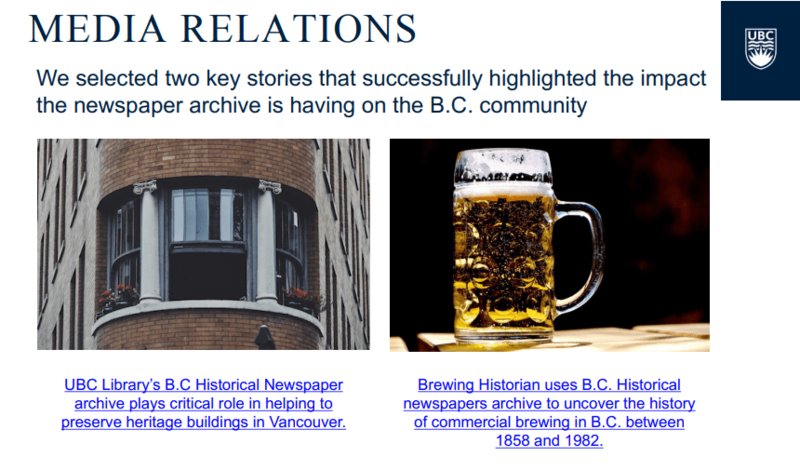 The BC Newspapers digitization project was launched in 2011 to bring the vast inventory of community newspapers around BC to British Columbians and to develop an online, open access historical resource for research, teaching and learning. The project was completed in August 2017, making 47,249 issues of 163 newspapers published across the province between 1859 and 1995 available through UBC Library’s Open Collections portal. The four-week campaign was timed to coincide with the completion of the six-year project and aimed to establish UBC Library and the BC Historical Newspapers collection as an essential, authoritative online destination for anyone conducting research into the province of BC, establish the BC Historical Newspapers digital archive as a UBC Library success story and to increase online usage of the BC Newspapers collection.